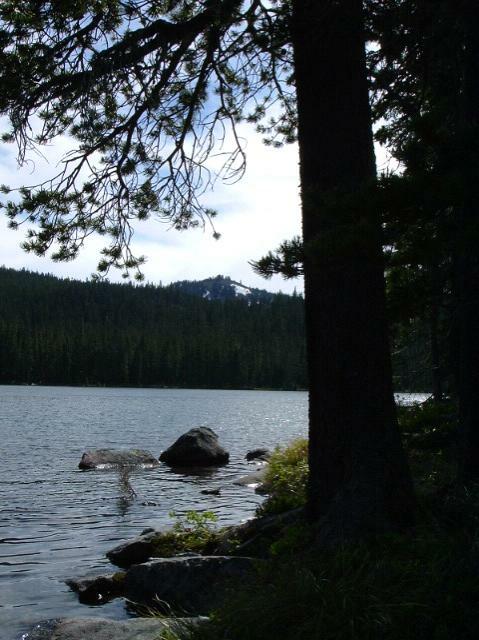 This trail starts about 3/4 of a mile from Olallie Lake on the Red Lake Trail 719. There is a sign at the junction which is to the left. Trail meanders through boulders, dwarf pines, grottos, and minor meadows and pools to the banks of impressive Timber Lake. A very charming, easy walk.